How to manage your inventory and inventory window on your home grid and on hypergrid trips. Don't try to learn everything at once. Review documentation every so often. You will learn something new on each review. Q: What happened to the Friday event notices you were carrying twice a month? A: They weren't drawing enough interest and alternative sources came online. I am now running a short form daily near the top of this blog. A more comprehensive collection is in Selby's daily news collection. Does your computer slow down after a time in a virtual world? Maybe it is not an overheated graphics board. The is a bug in many viewers that can leave a lot of processes running on your computer. Enough can slow your computer. Here are 2 suggestions for a fix. Symptom: computer slows over time in a virtual world. Cause: Accumulation of llcceflib_host processes. The llcceflib_host processes persist when the viewer closes. The Short Poetry Workshop this week presents the Dizain, which is a 15th century French form with 8 or 10 lines of 8 or 10 syllables per line.and two rhyme scheme options. Planning for HG Welcome Centers, Kitely/elsewhere. Kitely is currently redesigning its Welcome center. The welcome center for a grid makes the first impression for most visitors and so is critically important in determining whether they stay. The welcome centers for the HG grids are important in determining the growth of the Hypergrid. All of us interested in the growth of the HG have a stake in the effectiveness of welcome centers. This report summarises ideas about designing effective welcome centers. The owners and operators of the grid want more people. Merchants and venue operators want more customers. Established residents and Welcomers usually want more people in the grid. Communities want more people in their community. Venture capitalists (VCs) want to see an attractive entrance. New arrivals want to find things that fit their interests. From closed virtual worlds, exploring the hypergrid. From the outworld, exploring a community. Feeder sites: attract and link to main web page. Entry web page: show how to enter and get started. Welcome site: help for newcomers to the grid or community. Community: show activities they can start immediately or soon. Example: NMA low tech entry path for starting in Hypergrid. Can a new grid get started on the HG now? I saw a query about a fairly new grid struggling to get started. Content creators won't go there because not enough residents. Residents won't go there because not enough content. A common startup problem in a new form. I had a chat with Ann Tree Prenyour about that. Images from the installation and poetic art of Karima Hoisan. And some background about installation art and poetic art. In Kitely: put the Firestorm Hop in the Nav bar (top of FS viewer), enter. Art created in a large virtual space. The art may use the changing views produced as the observer moves through the space and the changing shadows with sun angle. Virtual installation could be used to show how a real installation would look if built. 2016 TECH: A 360 degree video demo showing the use of virtual reality for video production. the use of virtual reality for video production. The 360 degree video is opening to the mass market, now that YouTube will play it. Here is a demo of what it is like. For best viewing, activate full screen and use the WASD keys to control camera view. 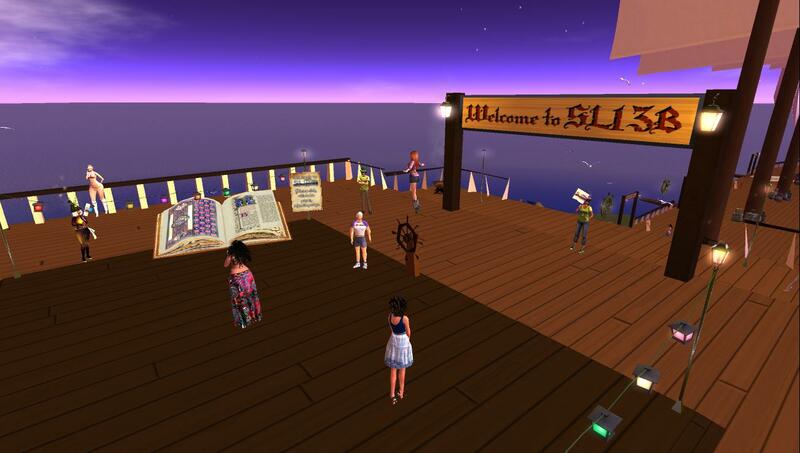 The celebration of the 13 anniversary of Second Life is reported in this article. SLurl: Drag the slurl to your viewer screen, follow instructions. Tēnā koutou: This week the Short Poetry Workshop celebrates the Māori New Year – Matariki. The Matariki star cluster is known as Pleiades in the Northern Hemisphere. Guest host Ngagpa Writer will introduce the Pleiades which is a 7-line poem. Each line starts with the same first letter of the title word. The Integrated Learning Environment (ILE) is open source, Air Force owned, and consists of a curriculum delivery platform, a collaboration platform, and a virtual world capability. The ILE is operational since January, 2016. The video here reports on the concept and initial plans. This location presently (June, 2016) has an auditorium. It may be of interest now only for events. In the future it may serve as part of the collaboration platform. As in the Global Learning Forum, in which this video was presented. Studio X, the future of AF education, eXperience learning wherever and whenever. The key to whenever and wherever is distance learning. 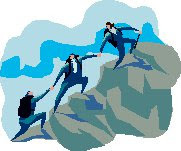 A virtual world capability offers experience learning where appropriate. Send G+ communities your blog links. If you blog, you have a target audience. G+ communities may be gathering your audience for you. 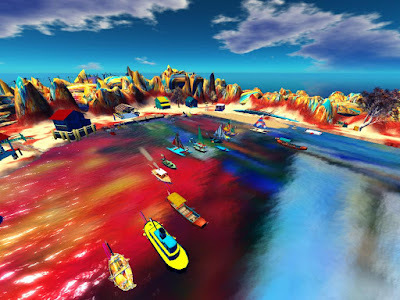 Here are some G+ communities I have found useful in promoting articles about virtual worlds. I post to my G+ profile stream, then go to the profile and share. I can share with G+ communities and to my circles. Some blogging software supports auto-posting, which may be a bit easier. I use my profile stream to collect links. I go to my profile stream and send links to groups that might be interested. Links to my articles and links to other articles. I don't send every link to every group that might be interested. they can look on my profile stream. In Chrome, press Ctrl f to open the search bar (upper right). Other viewers probably offer this service, too, maybe with the same Ctrl f.
You can use this on the list of G+ communities, too. If you don't find the community you want, maybe you should create it. And why communities are important. Freda Frostbite (stephanie mesler) tells us why she likes to be in virtual worlds. Virtual Worlds are full of pretty places, interesting builds, remarkable creativity. They have the power to dazzle but bedazzlement is temporary. Even beauty gets boring after awhile. If there is nothing more than cool stuff to look at, then there is not enough to anchor us in our metaversical lives. We are quick to logout and, sometimes, never return. In the end, it is the same thing that keeps us connected to our solid world communities that keeps us connected in virtual worlds too; it is the experiences we share with other people and the bonds we forge with them that keep us coming back. 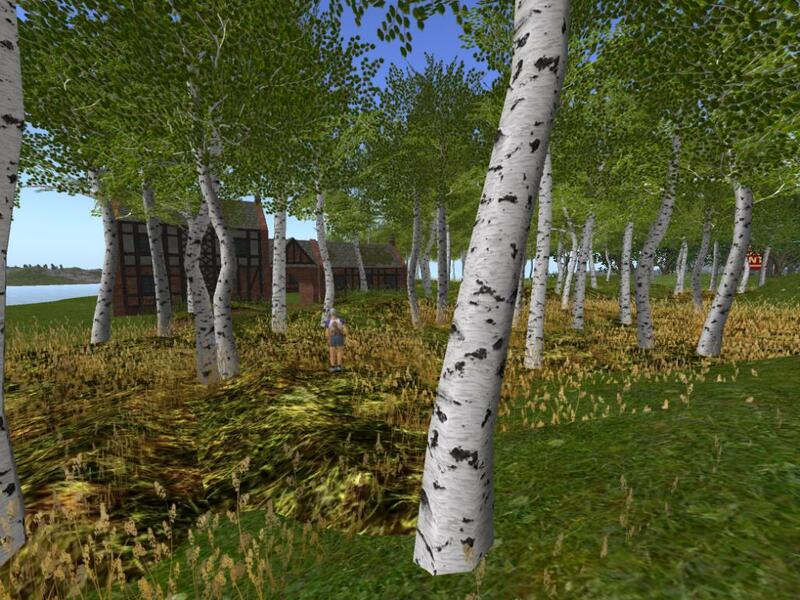 Land for rent in Kitely on a rural residential sim. Ann Tree Prenyour has been bugging me to write an article about land rentals on the hypergrid, so I was glad to find a rental offering by Ozwell Wayfarer. Here I give a brief report of the offer and then a transcript of my discussion with Ann. "Spaces for 10 homes, starting from $1USD/300KC/month!" "Fees payable in Kitely Credits s or USD+10% to cover PayPal fees." "Come see our great prices and generous prim allowances!" Ann is one of the people in my head, people who help me write articles. 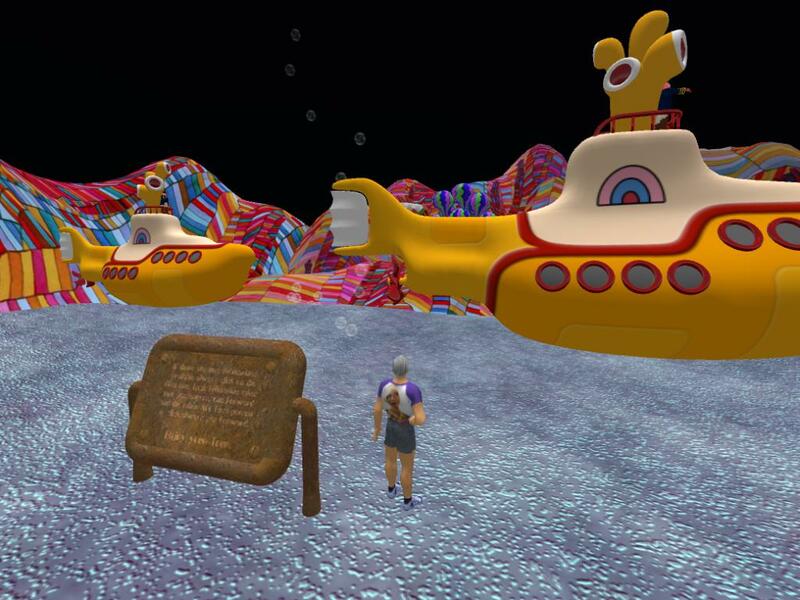 Help for nonprofits in virtual worlds. Articles from New Media Arts blog. New Media Arts is publishing a series of articles based on its experience as a nonprofit organization operating on the internet (as a library) and in virtual worlds (as a theatrical group and video producer). Here is a summary of the first few articles. Virtual Nonprofits – Nuts and Bolts – Forwarding to Multiple Recipients in Gmail. Housebound is not home alone. This week the Short Poetry Workshop continues the Japanese poetry forms with the Tan Renga, (short linked elegance), which is a form similar to a Tanka, (5 lines 5,7,5, 7,7) but written by two people. Tan Renga led to longer poems called Renga. We’ll work together as a group in this workshop.